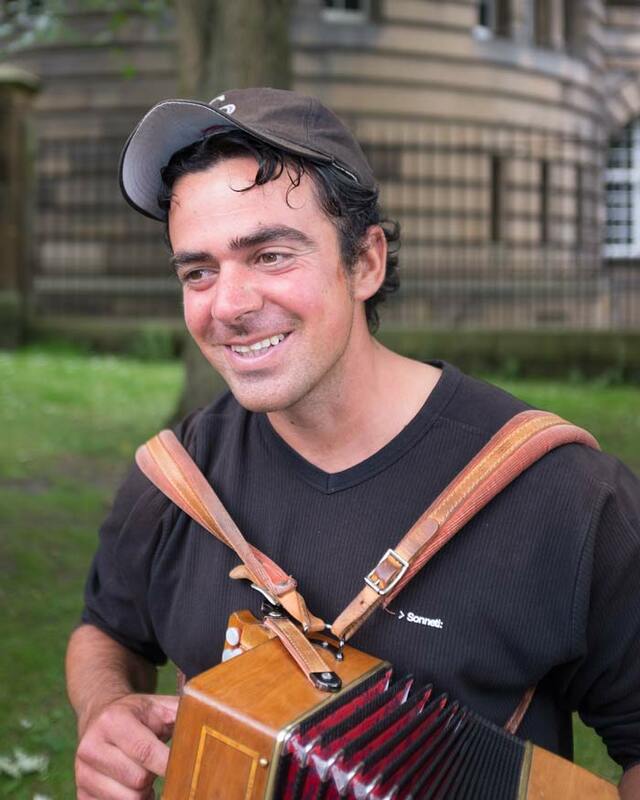 His name is Adamo Laureti and today he was playing near Peter’s Yard near Bristow Square here in Edinburgh. I talked to him once before and commented how he plays the accordion with a lovely rhythm to his playing. Of course, I hit the ‘follow’ button straight away! There is a kind of melancholy and happiness all bundled up in him. He told me he has been playing since he was 13 years old. So he has been playing and meeting people on the street for a long time! Lovely comment – thank you!